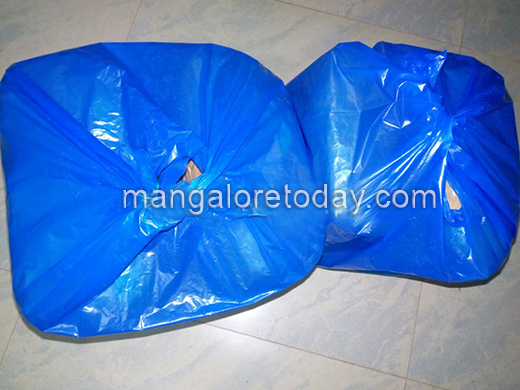 Mangaluru, Jan 17, 2018 : A drug-peddling racket busted by Mangaluru South anti-rowdy squad on January 17, Wednesday at Kallarakodi have seized 10 kg of ganja . Mohammed Azeez(34) of Bantwal and Mohammed Imthiyaz(26) of Talapady are identified as the accused. Acting on tip Mangaluru South anti-rowdy squad along with Konaje police raided Nettila Padavu area on Kerala border. Azeez and Imtiyaz were sellling ganja to public, on noticing police they fled away from the spot. They have seized10.25 kg of ganja and a Activa bearing number (KA-19-1625) a total of Rs 1.60 lakh . Hunt for the accused is on. Case has been booked.